Our PBfit 2-Pack Variety Bundle with Regular PBfit and Chocolate PBfit is the ultimate duo you’ve always needed. Batman and Robin? Meh. PB and J? Sooo grade school. Get with the times by getting your peanut fix with 87% less fat and a third of the calories compared to the other guys. 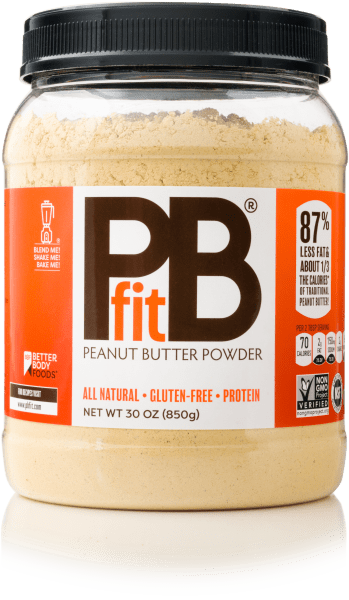 Do PB&J the leaner way — PBfit has 87% less fat and 1/3 of the calories compared to regular peanut butter (when prepared as directed), yet it’s made from real roasted, pressed peanuts. Protein power — With 6g of protein in one serving of PBfit, you can get a boost of protein right before your workout. Try adding it to the protein powder you already use! 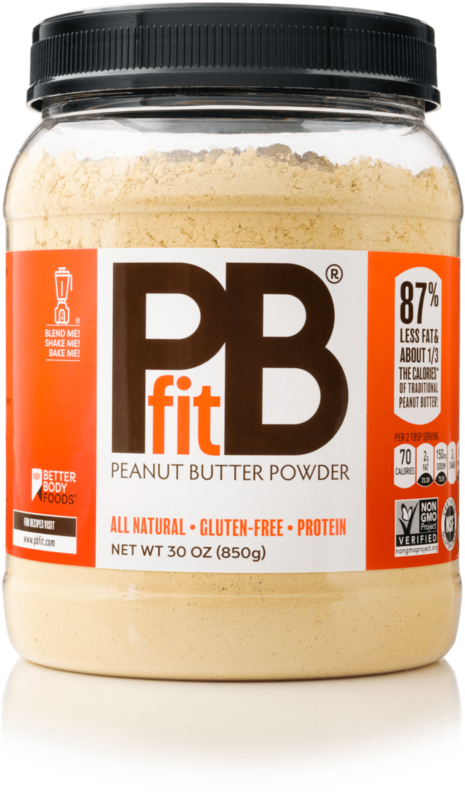 Simple ingredients — PBfit is made with 3 simple ingredients that you can pronounce: peanuts, coconut palm sugar, and kosher salt. Did we mention it’s all natural and gluten-free? Blend, bake or shake — Mix into breads, pancakes or waffles to create a great peanut butter flavor. Toss a few spoonful’s into smoothies or shakes for a tasty, low-fat, protein boost. It also gives a delicious protein boost to smoothies. You can also try substituting flour for PBfit in your favorite baked goods recipes. 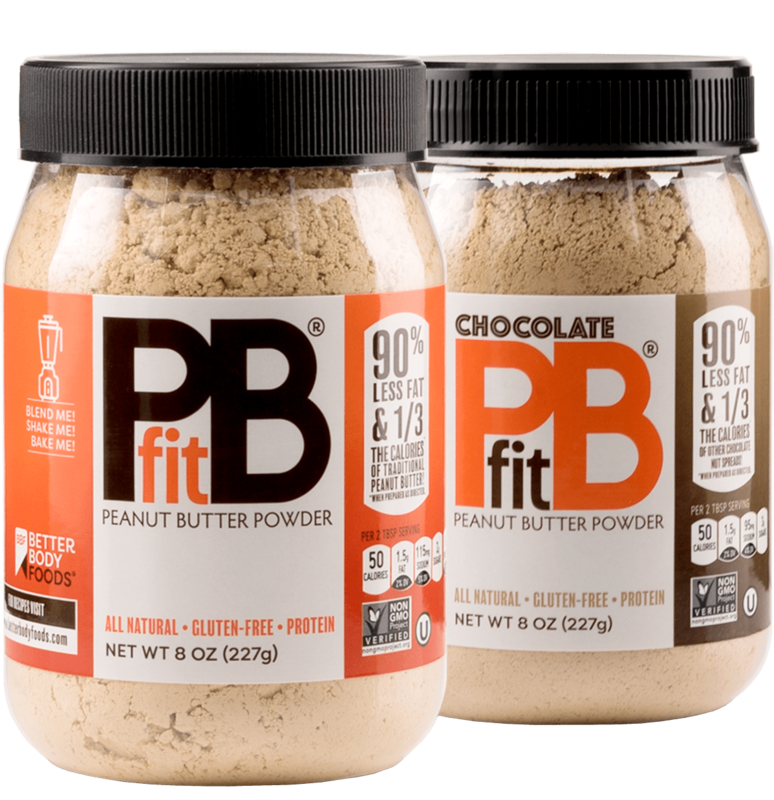 PBfit is packaged at BetterBody Foods’ world headquarters in Lindon, Utah. I love PBfit! So good in my shakes! I just tried it for the first time – scooping my celery sticks into it – and it is AH-MAZING! I shared it with a few coworkers and I know they are going to be buying it too!